A great smile is essential for putting your best face forward. At Five Star Dental Care, we not only restore teeth to their original condition; we make many Valrico smiles better than they ever were before! Some of our dental patients were happy with their smile in years past but now want to bring up the whiteness a notch or two. 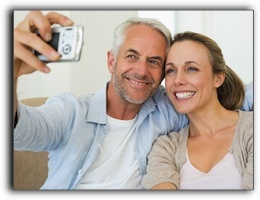 Teeth whitening is a popular procedure for our Valrico cosmetic dentistry clients. We provide a variety of teeth whitening options for every type of smile. If you are ready to brighten your smile, come on in; we’ll help you find the best tooth whitening system for your smile. We service patients from the Brandon, Plant City, Tampa, and Valrico areas. This entry was posted on Thursday, October 14th, 2010 at 4:29 pm	and is filed under Cosmetic Dentistry. You can follow any responses to this entry through the RSS 2.0 feed. Both comments and pings are currently closed.